The Greater New Orleans Foundation Organizational Effectiveness Initiative (OE) and Baldwin Haspel Burke & Mayer, LLC are partnering to host a workshop on nonprofit compliance. The workshop is designed for nonprofit executive directors, staff and board members who regularly encounter challenging nonprofit compliance issues. The goal of the workshop is to help you identify, avoid and/or correct common compliance missteps. The workshop is free, however registration is required. Click here to register. If you have questions about the workshop, please contact Rachel Swan at 504-598-4663 or rachel@gnof.org and for more information. John Rouchell received his bachelor’s degree in English from Tulane University, his law degree from Tulane Law School, and his LL.M. in Taxation from New York University. John joined the Firm in 1980, where his practice covers all aspects of state and federal tax law, as well as corporate and business law, estate planning and administration. He also represents authors, artists, and musicians in the New Orleans area, including his only child, John Michael, a professional musician and songwriter since the age of thirteen. 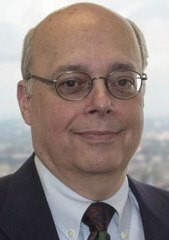 John is a Fellow of the American College of Trust and Estate Counsel. Drew Sullivan received his bachelor’s degree in Accounting from Louisiana Tech University, his law degree from Loyola University New Orleans College of Law and his LL.M. in Taxation from New York University. 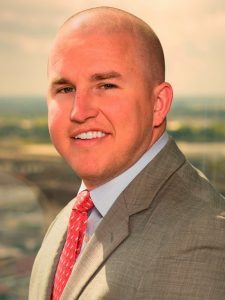 Andrew clerked at Baldwin Haspel Burke & Mayer and returned to New Orleans and the firm after practicing law in Shreveport for 3 years. His practice is focused primarily on mergers and acquisitions, business planning, estate planning and other transactional matters, with an emphasis on federal and state taxation. His practice centers around helping clients achieve their business and estate planning goals in a tax-efficient manner.